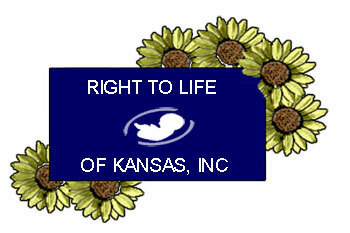 Right to Life of Kansas exists for a singular purpose: to restore legal protection for the inalienable right to life of all the citizens of our state, whether born or pre-born, young, old, or handicapped. We declare our need to rely on the Lord's wisdom and strength to do battle for the lives of the pre-born and the families of Kansas. We believe that, “Even though most regulatory-type proposals do not violate the personhood principle, they may implicitly suggest an unintended message: that killing a preborn child is acceptable as long as certain conditions are met. 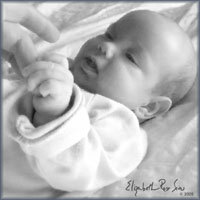 Pro-life promotion of such measures, then, can place the movement in the position of appearing to overlook the personhood of the preborn child and, worse, of appearing to ask the legislatures, courts, and public to do so as well.” Read more. scientifically inaccurate definitions of a “human being”. Read more. This amendment will recognize the rights of every human person. Read more. A new report shows it is imperative to look in the mirror and to assess progress towards ending abortion. Get report. The theme of the Midwest Personhood Pro-life Conference was answering the distortions and legal objections to personhood measures and focusing on the strategic significance of the movement in ending abortion. Read more. This little guy is a celebrity before birth. View video. American Life League reports on what Planned Parenthood stands to gain from federal health care reform legislation. View video.